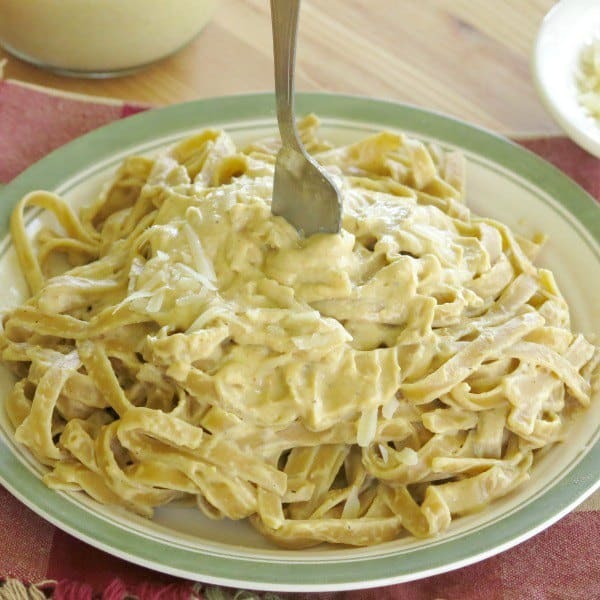 You’ve got to try this Creamy Pumpkin Pasta Sauce over your noodles or in your favorite recipe! It’s cheesy, easy and it freezes! This sauce, with a hint of pumpkin, is a reminder that fall is on its way or the holidays are here. Or, it’s a great way to use that can of pumpkin in your pantry (if you happen to keep one there all year long like me!) LOL!!! This sauce is very versatile. Serve it over your favorite pasta noodles or zoodles. Stir it into macaroni elbows or shells and it’s pumpkin mac and cheese. Spread it over crust as a base for pumpkin pizza or in a lasagna. Use it the same way that you would use any pasta or spaghetti sauce! Once you are hooked, make a big batch and freeze it for pumpkin infused deliciousness all year long. If you enjoy this creamy pumpkin pasta sauce then you might want to make a delicious variation. 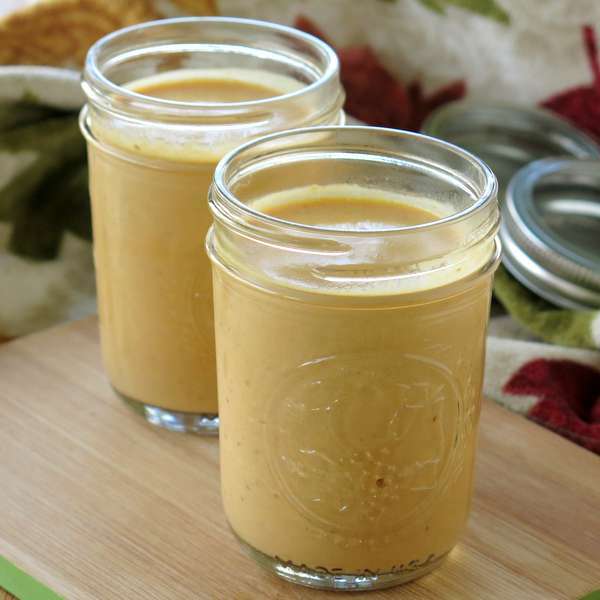 Prepare Crock-Pot Butternut Squash Puree and substitute butternut squash puree for pumpkin puree in this recipe. So good! This easy recipe comes together in about 15 minutes. Melt butter in a sauce pan and add pressed garlic cloves, stirring to soften for about a minute. Add pumpkin, nutmeg and half and half to the pan and stir to combine. Bring to a low boil and then reduce to simmer for about 5 minutes, allowing the sauce to thicken slightly and stirring every so often. Finally, stir in the cheese. That’s it! A little milk fat is needed to give the sauce a creamy consistency. Half and half works perfectly…so does equal parts half and half and skim milk. Skim milk by itself ends up a little too grainy. However, 2% milk might work just fine. Use what you have available, just make sure there is a little milk fat…it’s worth it! Can you freeze Pumpkin Pasta Sauce? One of the best things about this creamy pumpkin pasta sauce is that you can make a large batch and freeze it! Pictured is a small mason jar without a neck. If you use a glass jar, allow room for the sauce to expand. (The one pictured needs a little removed. Leave about 3/4 of an inch before the top.) Plastic containers are also an option. It would make a nice gift too! For the best results, lift the container into the refrigerator the night before. When ready to serve, heat it in a pan over medium-low heat on the stove top, stirring to reincorporate all of the ingredients. Add a little milk or cheese if necessary to return to the desired consistency. Please rate this recipe and tag @DinnerMom or #DinnerMom on social media if you make the recipe. We’d love to see what you are cooking up! 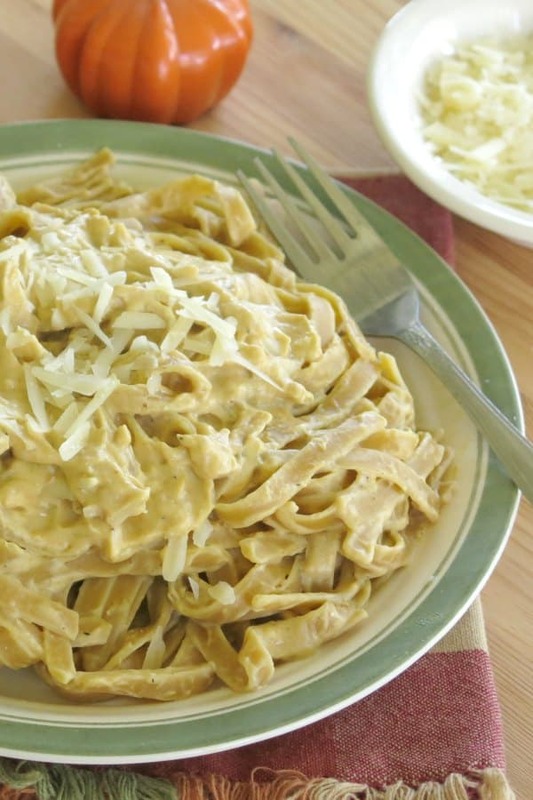 Make a big batch of this creamy pumpkin pasta sauce and use it in your favorite recipes! Over noodles, mac and cheese, pizza. It freezes! Melt butter over medium heat in a sauce pan. Add garlic and saute for about 1 minute. Add pumpkin, nutmeg and half and half to sauce pan and stir to combine. Raise heat and cook until mixture just begins to boil. Keep stirring occasionally. Reduce heat to low and simmer for about 4-5 minutes. Mixture will begin to thicken. Stir in cheeses and season with salt and pepper. Enjoy! Spoon sauce over noodles or use the same way you would use any recipe that calls for pasta sauce. Not sure in what world I live but I’ve never seen this and I looove it! We make a similar cheesy pumpkin sauce – only FAR more fattening! I love this lightened up version – I won’t feel so guilty eating it! 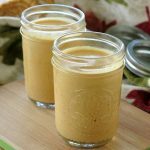 Pumpkin is such a great option to make a creamy sauce! I love using it in everything! Love this as I recently did a similar thing with butternut squash (post to follow next week) and I love the idea of using pumpkin in pasta sauce too. I’ve done it before on pizza but that was many moons ago. Adding nutmeg and ginger is a great addition! Sounds deliciously comforting for Fall! Might try it with coconut milk! I love pumpkin pasta! I will have to try it with the fall flavors you added like ginger and nutmeg! I bet it really brightens up the dish! Delish! Pinning! 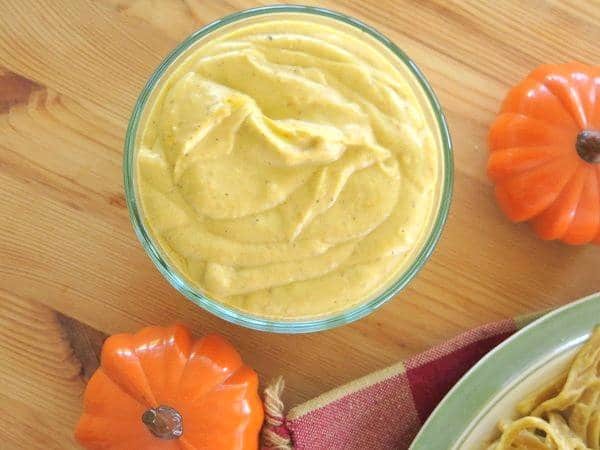 I love creamy sauces like this and the fact that you used pumpkin in this is amazing! Very creative! I especially like the use of nutmeg and ginger in the sauce. Yum! I’ve never tried pumpkin pasta sauce before, I’m intrigued! Sounds delicious! I’ve been playing around w/ pumpkin sauces lately too. I’ll have to add this to my “to try” recipes. Yum1 I LOVE pumpkin pasta sauces! This looks great! I adore pumpkin and pasta together. 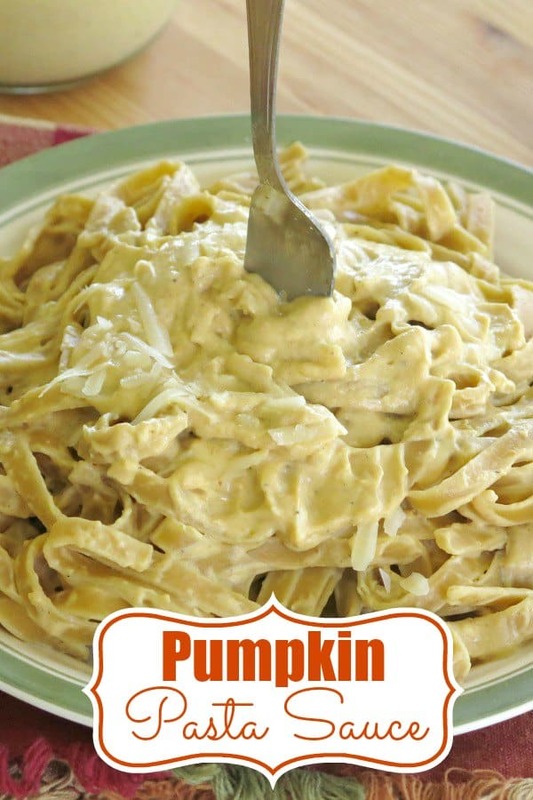 I normally make a pumpkin mac and cheese but I’ll be trying this out instead! Saw pumpkin pasta sauce at the store yesterday and just couldn’t do it with how bad it was/added sugar… now I’m going to have to try your recipe this weekend! You are SO right! Getting kids to eat relies heavily on how you market the meal. I bet the sharp cheddar stands up well to the pumpkin. I reckon pumpkin and pasta are a perfect combination and this looks like an absolute winner! I LOVE pumpkin sauce! I need to make this asap. My sister is a pumpkin fanatic so I’m going to send this along to her. She’s going to love you. This looks so rich and creamy, you would never know this is lightened up. Very cool!